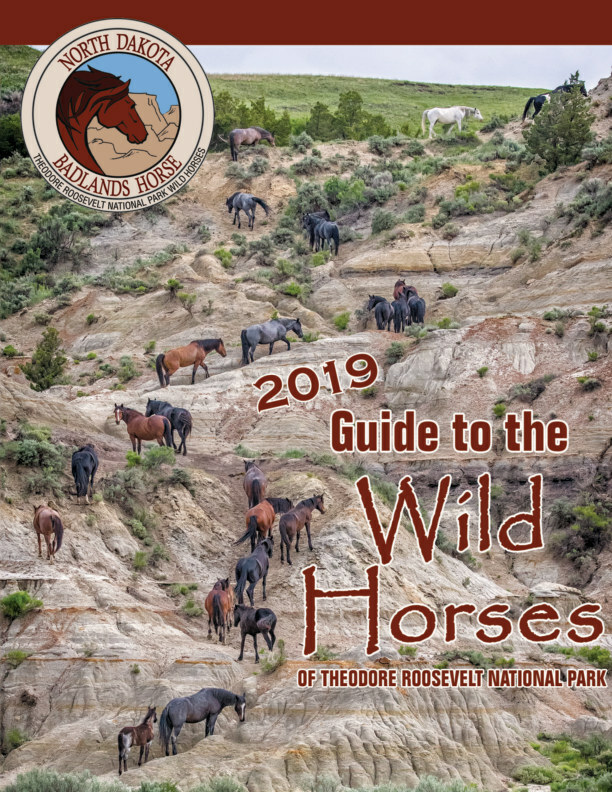 This guide contains the pictures and descriptions of all the horses currently in Theodore Roosevelt National Park as well as information as to how to find them and identify them. Horses are listed by gender and color so they are easier to find. Having lived in ND most of my life, always been crazy about horses, and ridden in the ND Badlands since 1982, it was natural for me to document the wild horses of TRNP. From 1998 'til 2008 we worked with Tom Tescher, who documented them for 40 years and shared all his hand-written documents with us. Becoming a volunteers for TRNP in 1999, I have been the primary person to identify, document, and keeps records on the horses, including identifying at all the roundups. I created NDBH in 2009 after our group was only able to find buyers for 69 of 77 horses sold. Eight were lost to slaughter. A 501c3 non-profit, North Dakota Badlands Horse registers the sold horses, maintains the Facebook page by that name, collaborates with other wild horse groups and individuals, and with their help was able to save all 103 horses sold from the Park in 2013. We will continue to work with the Park for the benefit of the horses. My husband and I ride NDB Horses, Fire, '03, and Hawk, '08.